Often built on the frames of trucks, armored cars were still new when World War I began in 1914. On the Eastern Front, the Russians developed the surprisingly effective Garford-Putilov armored car. Although only 50 were built, this 1915 design found relative success on the Eastern Front and later during the Russian Revolution. This armored car was built on an American-made Garford truck frame and equipped with a 76mm gun and three machine guns. It was also quick by World War I standards: eleven miles per hour! 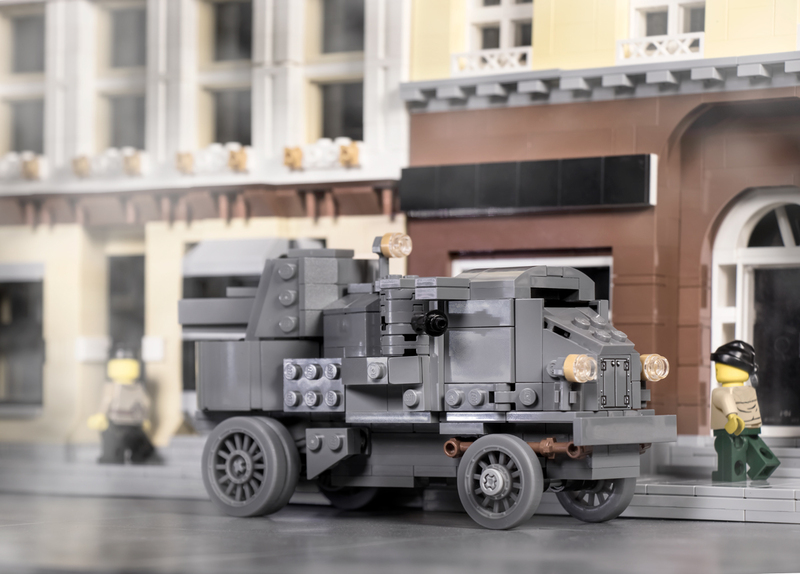 Another excellent Brickmania design, the Garford-Putilov Armored Car is perfect for any World War I collector! Featuring new Brickmania 3D-printed wheels, this armored car also includes a rotating turret, articulating brick-built machine guns, a printed grill element, and space for three minifigures.